Here we find the descendants who moved from Soya to Galala (Ambon). Hendrik Pesulima is the third son of Putri Pesulima (see Genealogy). According to the tradition he was an officer in the English army. He settled down in Batu2Halong and his descendants still live in Galala, Hative Kecil, between Halong and Passo, in Ternate and in other places. More at the Pesoelima Lineage. Married to 1) Leonora (Boya) JOSEPH. No children from this marriage. 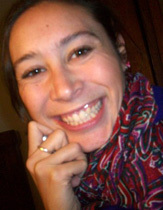 Married 2) to Magdalena (Ma) DIRKSZ. Married 3) to Cornelie SIMATOUW. No children from this marriage. He was born in Hative Kecil on ... . Married to Maria Pesulima. She was born in Lokki on 30 September 1933. She was born in Piru (Seram) on 19 November 1958. IX.1 Handry PATTINASARANY. Born in Ambon, 21 July 1978. Married Ria Limbong, born Toraja, 16 August 1983. Three children Aurelia Quenteen Pattinasarany, Ambon, 25 August 2005; Andrew Marthin Patrinasarany, Ambon, 26 March 2010; Mariska Putri Pattinasarany, Ambon, 5 March 2011. 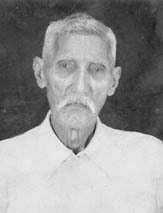 IX.2 Getheruida PATTINASARANY. She was born in Ambon on 8 juni 1980. IX.3 Francisca Marisca PATTINASARANY. Born in Ambon on 18 april 1983. Married to Budi Hariyanto, he was born Tangerang, 19 December 1980. Two children: Janssen Benedict, born Jakarta, 9 oktober 2015; Amoreiza Clara Nathania, born jakarta, 25 January 2018. Hendrik and Poppy Pesulima. Picture used with permission of Welma Pesulima. He was born in Ambon on March 6th 1938, he died in Hative Kecil on 14 April 2012. Hendrik married to Naomi (Poppy) LOUHENAPESSY. She was born in Ambon on 11 November 1939, she passed away in Hative Kecil on 14 May 2004. From left to right: Geerma, Elsa, Jocky, Lulu, Welma and Conny Pesulima. Picture used with permission of and made available by Welma Pesulima. Photo taken in 2012. She was born in Hative Kecil (Ambon) on ... .
Married to Larry MIERSMA. They live in Montana, USA. Born in Hative Kecil (Ambon) on 20 October 1967. She lives in live in Kupang Nusa Tenggara, Timur. 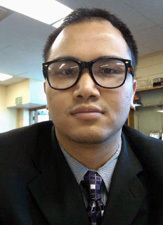 Profession: lecturer in Fishery Faculty, Artha Wacana Christian University. He was born in Hative Kecil (Ambon) on 3 October 1969. He married to Rina NATALIA, born in ... (Central Java) on 12 September 1997. They live in Ambon. Married to Max KEPPY. They live in Ambon. She was born in Hative Kecil (Ambon) on May 1st, 1972. She died in Jakarta 28 May 2014. Lulu Pesulima in the Angel home in Hative Kecil. She was born in Hative Kecil (Ambon) on May 1st, 1972. She lives in Jakarta. Married to Pilipus LOPPIES. Seven children from this marriage. 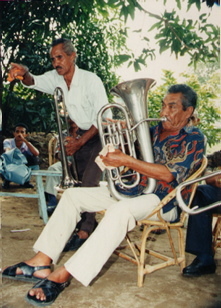 Matheis Keppy playing tuba with the church fanfare of Galala/Hatiwe Kecil. Picture used with permission of Herman Keppy. Married to Matheis KEPPY. He died in ... on ... January 1998. VI.1 Maritjie (Mitji, Itji) KEPPY. Not married. Standing in the middle is Elisa Pesulima (with the grey hair) and sitting in front of him is his second wife Adriana Maerissa. Do you know the other persons on this picture and the place where it is made? Picture by Piet Palapessy, made available by aunt Henny Pesulima. Place unknown. The year is probably 1928 because of the code P691928JP at the backside of the picture. He was born ..., he died about 1943. Married 1) to Elizabeth TOHATA. She died about 1916. Married 2) to Adriana MAERISSA. She was born about 1886, she died about 1939, at the age of 53 years. She was a teacher in Lokki. Profession of Elisa Pesulima: Teacher and headmaster. He was married to Sophia MAKARANAP (Makahanap, Makakanap?) from Sanger, Menado. Married to ..., from Singapore? They live in Jakarta. Three children. Eli Pesulima, sitting at his office desk. Photo made available by Alex Pesulima. Photographer, place and year unknown. He was born Jakarta 22 January 1928. 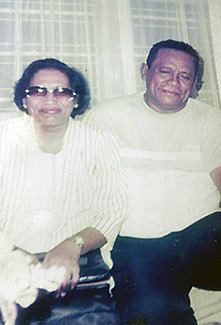 Married to Carolina Helena (Lena) VAN AMSTEL, she was born Lawang (Java) 17 april 1936, daughter of ... . Profession: clergyman emeritus of the Geraja Pinkster Gemeente. [Emeritus dominee van de Pinkstergemeente]. Married to Opi. They live in Bogor. Married to Antonius SUKOCO. They live in Belawan, Medan, Sumatra. IX.1 Riki SUKOCO. He was born ... .
IX.2 Sutyo SUKOCO. 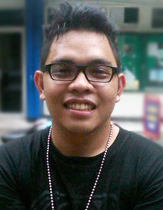 He was born ... .
IX.3 William Alfin SUKOCO. He was born ... .
IX.4 Sundari SUKOCO. She was born ... .
She was born in Pematang Siantar (Sumatra) on 24 July 1961. 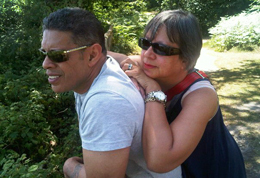 She moved to Holland in 1987 and married in Capelle aan den IJssel on 12 June 1987 to William George (Wim) DE LIMA. He was born Vught (kamp Lunetten) on 26 May 1959, son of Isaac DE LIMA and Frederika MANUHUTU. She was born in ... on 6 June 1992. She was born in Leiderdorp on 16 December 2002. She was born in Medan on 30 October 1962. She went to the Netherlands in 2002 and married in Teteringen (Breda) on 11 October 2002 to Benjamin Melchior (Ben) DE LIMA. 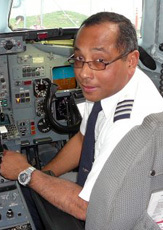 He was born in Vught on 7 October 1962, son of Isaac DE LIMA and Frederika MANUHUTU. Married to Lia ... . They have two children. Married to Frans ... . Both are clergyman in the Geraja Pinkster Gemeente. They live in Bandung. They have one daughter. Married to ..., from Cimahi. They live in Jakarta. They have six boys. Married to Mickey JUNUS from Sanger, Menado. He is a retired manager at the Heineken company in Jakarta. They live in Jakarta. They have five children. Ica and Jos Pesulima and their children. Photo made available by Alex Pesulima. Married to 1) Constansza SOHILAIT. Married 2) to Josina (Jos) HEHAMONY. VII.1 Abraham PESULIMA. Died young. She was born in Ambon on 31 May 1958. She married to Esau JORIS. He was born in Ambon on 25 April 1955. She was born in Ambon on 18 May 1976. 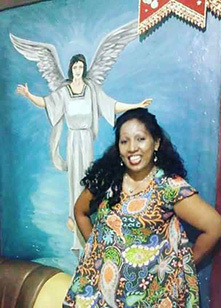 She has been married to Boy LUHULIMA. IX.1 Denis LUHULIMA, he was born in ... on ... .
IX.2 Ivena LUHULIMA, she was born in ... on ... .
IX.3 Joseli LUHULIMA, she was born in ... on ... .
She was born in ... on ... . She was married to Aleka SUPUSEPA. IX.1 William SUPUSEPA, he was born in ... on ... .
IX.2 Ella SUPUSEPA, she was born in ... on ... .
IX.3 ... SUPUSEPA, born in ... on ... .
IX.4 ... SUPUSEPA, born in ... on ... . He was born in Ambon on 29 September 1988. Bertho lives and works in Jakarta since 2006. He was born in Ambon on 14 Augustus 1991. She was married to Adolf MAINAKE from Amahusu. He was born in ... on 19.. .
Married in ... on ... to Alo LATUMELISA. He was born in ... on 19.. . He was married to Evi SUNDAH. They Live in Medan. Born in ... on 9 March 1990. Born in ... on 29 December 1991. He was born in ... on 19.. . He married to Beby ... . They live in Medan? He was born in ... on 19.. . He marred to Riske ... They live in Medan. She was born in ... on 19.. . She married to 1) ... UNEPUTTY and 2) to ... .
Delsy UNEPUTTY, she was born in ... on ..., she died in ... on ... 2012 in a drowning accident. ... ... , she was born in ... on ... .
VI.4 Lorina PESULIMA. She died young. 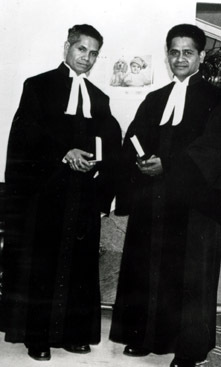 Clergyman Pesulima (left) together with clergyman Metiary. Picture used with permission of Moluks Historisch Museum, Utrecht, the Netherlands. Born in Galala on 5 January 1913, he died in Bennekom (Ede, The Netherlands) 8 March 2000. He was married in Ambon on 9 July 1939 to Carolina Maria (Corrie) PUTURUHU. She was born in Ambon 5 July 1919. She died in Ede on 11 March 2000. They traveled to the Netherlands with the ship the Skaubryn, departure Surabaya 14 april 1951, arrival Rotterdam, 10th of May 1951. Professsion: legerpredikant in de rang van 1e luitenant, legernummer 131305002, pastor emeritus [Emeritus predikant, oud-voorzitter van de synode van de Molukse Evangelische Kerk]. He was born in Ambon on 9 February 1940. He died young. She was born in Ambon on 13 April 1941. She lives in the Netherlands. Born Nijmegen, 25 May 1987. Born Nijmegen, 16 May 1990. She was born in Nijmegen on 20 September 1999. She was born in Bennekom on 8 June 1971. 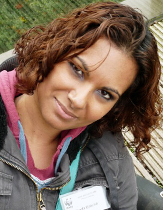 She was born in Bennekom on 19 March 1974. 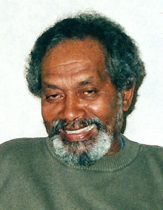 Born in Tanimbar on 6 December 1943, he died in Nijmegen on 21 November 2007. He was married in ... on ... to ... (Wil) MAAS, daughter of ... .
John Pesulima heeft ondermeer gewerkt als welzijnswerker. Hij was tevens beleidsmedewerker van het Landelijk Overlegorgaan Welzijn Molukkers. ‘Mijn vader heeft op Ambon de Stovil gedaan, de opleiding tot inlands leraar en predikant. Daar heeft hij les gehad van onder anderen de bekende dominee Tutuarima. Na zijn studie werd mijn vader uitgezonden naar Tanimbar. ‘Toen ik een jaar of drie, vier was zijn we naar Ambon terug gegaan. Mijn vader ging daar werken in het dorp Naku in de bergen. Op Ambon kende ik opa en oma Puturuhu, van mijn moeders kant. Opa en oma zijn ‘gelijkgesteld’. Opa is wel eens in aanvaring gekomen met het Nederlandse gezag en heeft nog in Dikul (?) op Nw. Guinea gevangen gezeten. Opa en oma Pesulima heb ik niet gekend. Van de familie ken ik alleen de vrouw van mijn vaders broer Itja. Zij leeft nog. (In 2002. EG) We noemden haar mama Jos. Bij haar heb ik in februari/maart 2001, nog gelogeerd. Via één van de mensen die hij tijdens de oorlog heeft geholpen op Tanimbar, kreeg mijn vader een aanstelling als legerpredikant bij het KNIL. Ik kan me nog goed herinneren dat mijn vader voor ons uit naar Sumatra vertrok. Wij gingen later. Eerst met het vliegtuig, later per boot over de rivier naar Palembang. In Palembang werd ik samen met andere kinderen dagelijks met een militaire truck naar school gebracht en gehaald. Wij woonden daar met de familie Saimima, de peetouders van mijn broer Alex, in een groot huis. Later zijn we naar Malang (Java) gegaan. Daar woonden we in een wat afgelegen deel van de Tangsi. Het was een leuke tijd. De school was voor de Tangsi. Op de achtergrond woedde een hevige strijd tussen nationalisten en het KNIL. Dit is ongeveer in 1948-1949 (?). Mijn vader was vaak weg. Ik weet alleen dat hij met anderen in een aantal jeeps vertrok. Korte tijd later vertrokken we weer om in Surabaya neer te strijken. Van daaruit zijn we naar Nederland vertrokken, met het schip Skaubryn. Die overtocht was voor ons kinderen heel boeiend. Met name de aankomst in Egyptische Port Said en de tocht door het Suezkanaal waren hoogtepunten van de reis. Mijn zusje Lies was erg ziek tijdens de overtocht. Zij heeft door haar vallende ziekte het grootste deel van de boottocht in de ziekenboeg doorgebracht. Wat me ook goed is bijgebleven is dat het schip een keer erg onrustig was. Kennelijk was er een ketel overbelast geraakt. Iedereen moest bovendeks komen en reddingsvesten om doen. De sloepen werden klaar gemaakt maar gelukkig hoefden we uiteindelijk niet van boord en liep het allemaal met een sisser af. Na onze aankomst in Rotterdam gingen we al snel door naar Amersfoort om even later naar Assen (Westerbork) te vertrekkenn. Weer later werd het kamp Beugelen bij Staphorst onze woonplek. Dat was omdat mijn vader de regio midden-Nederland kreeg toegewezen om als predikant onder zijn hoede te nemen. Hier hebben we een jaar of vijf á zes gewoond. Vervolgens verhuisden we naar De Biezen, het woonoord bij Barneveld. In De Biezen ben ik eigenlijk opgegroeid. Aan het vele verhuizen kwam een eind toen we uiteindelijk in de Molukse wijk in Lunteren kwamen te wonen. She was born in Nijmegen on ... 1972. She was born in Nijmegen on ... 1979. She was born in Nijmegen on ... 1984. 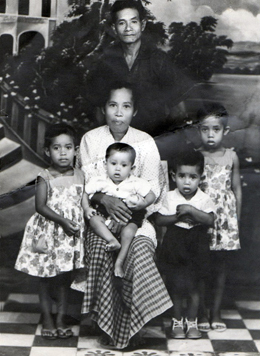 Born Tanimbar on 25 December 1945, she died in Nijmegen on 12 December 1973. She was married in Ede on 5 September 1969 to Rob WATTIMENA. He was born in Sumba (Indonesia) on 25 November 1940, son of Eduard WATTIMENA and Wilhelmien CATS. He was born in Ede on 9 June 1970. Born in Ambon on 23 May 1949, he died in Ede on 17 July 1998. He was married in Ede on 1 November 1974 to Jubelina (Lily) WATTILETE. 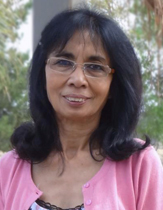 She was born in Malang on 20 May 1950, daughter of Dominggus WATTILETE and Barbalina LOPULALAN. He was born in Ede on 8 December 2001. She was born in ... on 23 October 2006. Born in Tiel on 18 May 1980. Born in 's-Hertogenbosch on 5 June 1981. Married in Barneveld on 7 July 2008 to Maria Michelle (Michelle) PATTIASINA, born in Amersfoort on 26 February 1981, daughter of Johnny Johan PATTIASINA and Brigitta Jeanette Maria VAN DEN BERGH. 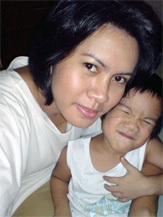 He was born in Ede on 27 August 2005. He was born in Barneveld on 15 August 2008. Born in Ede on 23 January 1986. 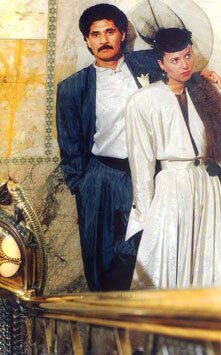 Alex en Christl on their wedding day the 30th of May 1986. Born in Barendrecht (The Netherlands) 27 April 1989. Born in Barendrecht (The Netherlands) 9 January 1992. He was born in ... on 21 May 2018. Born in Zwolle (The Netherlands) on 13 November 1952. 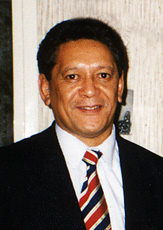 He is married in Moordrecht on 21 September 1990 to Arnolda Margriet (Nolly) MALAIHOLLO. She was born Gouda (The Netherlands) on 2 November 1963, daughter of Jozef Adriaan MALAIHOLLO and Saantje Carolina UPESSY. Born in Ede (The Netherlands) 10 August 1993. She was born in Ede on 14 August 1996. He was born in Staphorst (The Netherlands) on 14 December 1953. He was married 1) to Anja DE BOER. Divorced in 1987. 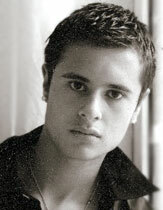 He is married 2) in Ede on 29 July 1988 to Maira Alitza (Maya) VAN CASPEL. She was born in Jakarta on 7 December 1959, daughter of Cornelis VAN CASPEL and Hetty Louise SAHETAPY. She was born Bennekom (The Netherlands) 29 December 1981. Born in Bennekom on 18 March 1983. She was born Bennekom 8 April 1989. She was born in ... on 9 November 2017. 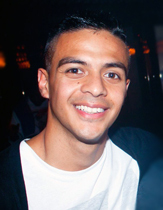 He was born in Ede on 8 March 1991. Born in Ede on 8 September 1996. She was born in Barneveld on 7 February 1959. Married in Ede on 23 September 1994 to Joost Philippus VAN STRIJLAND, he was born Hilversum on 27 August 1964, son of Lubertus (Bep) VAN STRIJLAND and Johanna Cornelia (Hanny) BRAND. He was born in Amsterdam on 18 Augustus 1987. 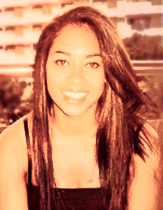 She was born in Ede on 18 March 1993. She was born in Ede on 19 June 1996. He was born in Barneveld on 3 January 1961. 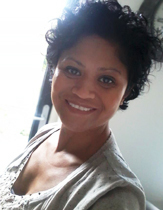 Married in ... on ... to Henriette Maria (Rietje) LISAPALY, she was born Assen 15 February 1956, daughter of Dominggoes Kaleb LISAPALY and Naomi ANNAKOTTA. He was born in Ede 19 November 1985. She was born Ede on 27 February 1987. He was born in Barneveld 25 December 1961. He is married in Veenendaal 21 October 1988 to Maria Cornelia (Amarina) DROST born Rhenen 18 November 1965, daughter of Cornelis DROST and Frederika Hermina SPIES. He was born in Wageningen 10 October 1991. He was born Utrecht 5 March 1993. VI.6 Sofia PESULIMA. Died young. A beautiful photo of Gijs Pesulima and his wife Wilmintje. Photographer and year unknown. Picture made available by Freejohn and Jane Pesulima. Born in Ambon on 4 May 1920, died in Jakarta on 16 April 1986. Married to Wilmintje MARANTIKA. Gijs Pesulima wrote down the story 'Origin/descent of the Pesulima Family' (1979). His writings brought us the story that was probably told from mouth to mouth by many generations. Grandfather Gijs, as family members used to call him, thereby has an important part in the reconstruction of the family history. The four sons of Gijs Pesulima and Wilmintje Marantika with their wives. 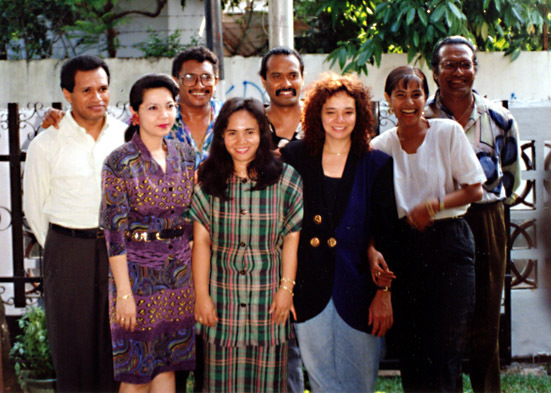 From left to right: Henky and Ita, Hemi and Roos, John and Jane, Broery and Wanda. Picture used with permission of family F.J. Pesulima. Year: 1990. 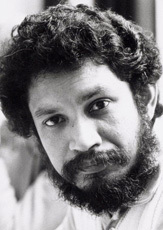 Broery Pesulima was born in Ambon on 25 June 1948, he died in Jakarta on 7 April 2000. Relationship 1) with Astrid KAYHATU. She was born in ... on 10 November 1945. She died in ... on 5 May 2016. He was married 2) to singer and entertainer Ithnaini Mohamed Taib (Anita) SARAWAK. She was born Singapore on 25 March 1952, daughter of 1950s actors Datuk S. Roomai NOOR and Siput SARAWAK. The marriage lasted for about four years, then they divorced. 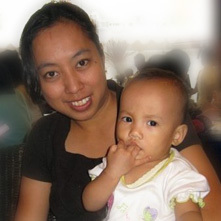 Anita Sarawak lives in Las Vegas (USA) since 1986. Broery married 3) to Wanda Irene LATUPERISA. She was born in ... on ... about 1969, daughter of ... .
Broery was a famous singer and actor. He was also known as Broery Marantika. As a kid Broery is member of a church choir in Ambon. In 1964 he joins a singing contest conducted by the Radio Republik Indonesia (RRI) Ambon. A year later he moves to Jakarta. There his professional career as a singer is starting when he participates in the Remy Leimena group. Broery had a concert in Rotterdam, the Netherlands on 12 December 1993. More about Broery at www.broery.com: biography, music, gallery and lyrics! 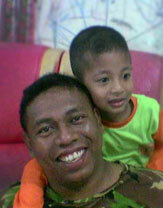 He was born in Jakarta on 17 November 1971 as the son of Astrid KAYHATU. Partner is Agnes FRED, a musician/singer from Sweden. Profession: musician, artist and composer for film,commercials and fashionshows. Working on his first album. She was born in Rotterdam on 9 April 2000. Born in ... (Indonesia) on 23 July 1990. Waiting for permission to use photo. Born in ... (Indonesia) on ... 1991. 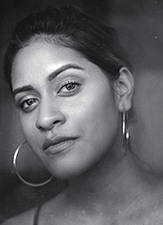 Laya recently started performing as a singer and she is very passionate about music and singing, focusing in pop, soul, jazz, and RnB. Laya was inspired by all of her father's work and decided to follow his footsteps. God, family, and music are her big top three priorities in her life. She will do anything to keep them together. With the voice and music skills she inherited from her father, Laya had been performing and singing at many events since she was nine. Laya also likes to collaborate with other musicians. One of them was to create a soundtrack for an Indonesian movie, called "OH MY GOD," which was released on July 2008. Her natural talents make her capable to learn how to sing, by doing and just by listening to the professionals. Through her strong voice and music, Laya hopes to inspire others, especially young singers like her around the world. 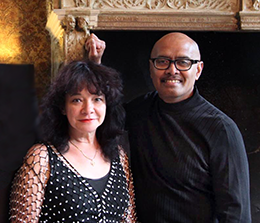 Henky and Ita Pesulima. Waiting for permission to use this photo. 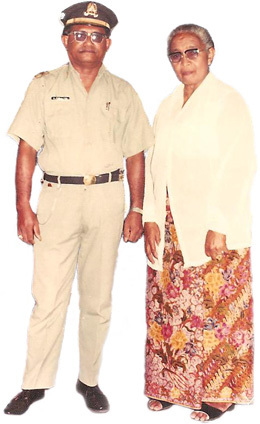 Aswin Pesulima and his wife Maureen Saija. Born in Jakarta on 22 September 1975. Married in ... on ... to Maureen SAIJA. She was born in Ambon on the 11th of January 1979. Daugther of Junus SAIJA and Paula TUANKOTTA. She was born in Jakarta on 2 January 2008. Born in Jakarta on 19 December 1979. Married in ... on ... to Donny NOVIANUS. 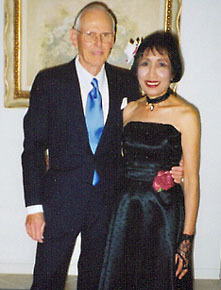 Freejohn and Jane Pesulima. Waiting for permission to use this photo. He was born in Ambon on 6 November 1952, he died in ... on 1 February 2015. Freejohn was married in Cuijk (the Netherlands) on 26 January 1979 to Jeanette Antionette (Jane) KAPPERS, she was born in Jember (Jawa) on 9 October 1955, daughter of Marinus Johannes KAPPERS and Eveline VAN NIEUWENHUIZEN. They live in Cuijk (the Netherlands). Born in Nijmegen on 6 October 1981. Born in Nijmegen on 26 July 1983. Picture used with permission of family F.J. Pesulima. 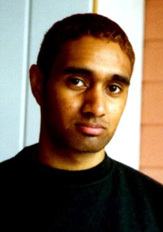 Hemi was born in Ambon on 17 January 1958, he died Jambi, Sumatera Selatan on 30 January 2003, only 45 years old. 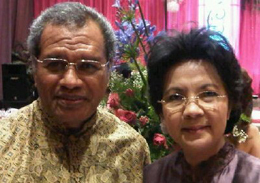 He was married in Solo (Jawa) on May 30th, 1982 to Woro Roosmini (Roos), she was born in Solo (Jawa) on May 10th, 1959. She is the daughter of Sosro HARTONO and Sunarsi. 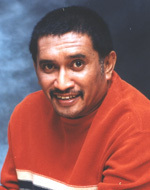 Hemi Pesulima was a popular religious singer in Indonesia. He suddenly died, due to a heart attack, while he was making a clip and was recording regional songs in a cafe in Manau River, Merangin Regency, the province of Jambi (Sumatra). Lately Hemi joined the group 'Andalas & Friends 001' which was working on a project of Regional Songs called 'Pesona Melayu 2003' (The Enchantment of Malay 2003), in cooperation with the Jodi Utomo Foundation, Jakarta. Profession: pianist, composer. 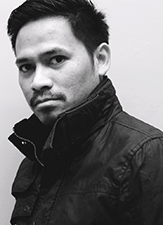 He graduated from Institut Musik Daya Indonesia in 2007 holding Bachelor of Music in Performance. Married to Mery KASIMAN. She was born in ... on ..., daughter of ... and ... .
She was born in ... on 8 November 2011. She was born in Jakarta on 23 April 1985. Married to Kim ..., from Tionghoa. She was born in ... on ... . She married in ... on ... to Matheus Pieter (Thos) SOUHOKA. He was born in ... on ..., son of ... and ... .
VIII.1 Peter Elisa SOUHOKA, born in Jakarta (?) on ... . He lives in Jakarta. 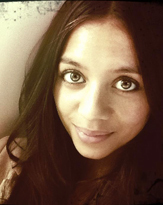 Hanny Monica SOUHOKA, born in ... on ... . She lives in Jakarta. Reinee Kiki SOUHOKA, born in ... on ... . He lives in Poland. He was born Lokki (Seram) 4 January 1927, he died in Rotterdam on 7 October 2001. He was married to Hendrika (aunt Henny) HEIKOOP, born in Nieuwerkerk aan den IJssel (The Netherlands) on 16 April 1936, daughter of Jacobus HEIKOOP and Aaltje KWAKERNAAK. Aunt Henny died in ... on ... August 2017. Oom Joop is geboren in Lokki op Seram. Zijn vader was daar toen werkzaam als inlands leraar. Als 1-jarig kind verhuisde hij naar Galala op Ambon. Daar heeft hij tot de oorlog gewoond. Oom Joop: 'In Galala woonden meerdere Pesulima's. Een broer van mijn vader was Ambrosius. Neven van mijn vader waren Johanis, Daniël, Cornelis en Simon. Dit waren broers van elkaar. Daarnaast had je Toet, Nanny en nog een derde broer, waarvan ik de naam vergeten ben. De vrouw van oom Nanny bakte altijd brood. Daar haalde ik dan vaak warme broodjes. 'Vaak logeerde ik als kleine jongen samen met mijn broer Dolf bij een andere oom, oom Elisa. Wij noemden hem Elisa cekkot, omdat hij aan zijn handen verminkt was. Als gevolg van gevechten in de Aceh-oorlog had hij enkele vingers verloren. Oom Elisa was getrouwd met een Javaanse vrouw maar had geen kinderen. Ik was toen een jaar of zeven en hij moet tegen de zestig geweest zijn. Hij was grijs. Oom Elisa en tante woonden in een groot huis. Zij hadden een slingergrammofoon waar ik helemaal verzot op was. Ik kon er dagen naar luisteren. Mijn tante draaide dan aan de slinger want wij mochten er niet aankomen. Een van de liedjes was van de zanger Willy Derby. Oom Elisa vertelde vaak over de Aceh-oorlog. Ook de buren kwamen dan en wij luisterden ademloos naar die verhalen. 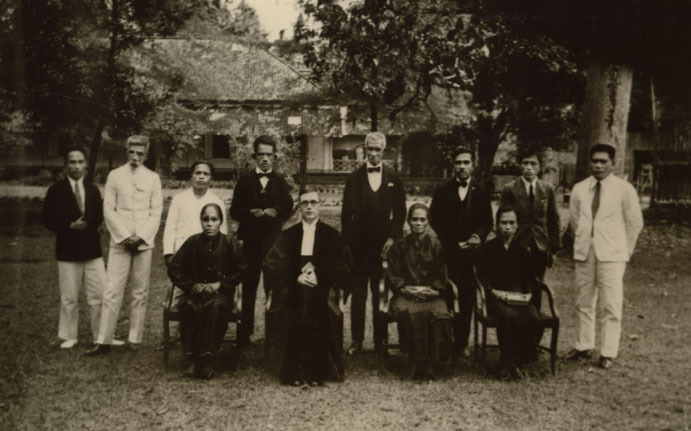 In Aceh had hij ook de latere minister-president Colijn gezien.' Elisa 'cekkot' Pesulima komt ook voor in deze stamboom. Zie onder bij A.2.3.1. Toen deed zich eind 1946 voor Jacob Pesulima de kans voor om in dienst te gaan bij de KNIL. She was born in Rotterdam on 9 May 1976. She was born in Nieuwerkerk aan den IJssel on 5 August 1956. 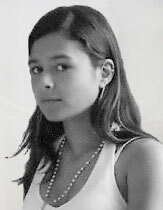 She died in Capelle aan den IJssel on 18 October 2002. The message that El Pesulima has left us on Friday the 18th of October 2002 came as a shock. She passed away almost exact one year after her father, uncle Joop, has died. El was only 46 years old. A few months previously we sat together with El and her mother aunt Henny. We visited them in a nice cottage in the calm countryside in the east of the Netherlands where they were enjoying a holiday. El was recovering from a severe illness. Although she looked fragile, she was very cheerful and optimistic. This is how we like to remember El. Married to Corlina (Nina) BREMER. No children. Married to Levinus (Nyone) PALYAMA. No children. Married to ..., from Java. No children. ... . [Tak ada anak. Sersan KNIL. Tangan cekot.] [Piara Juliana Rehatta dari Soya.] More about Elisa Pesulima in the story of uncle Joop Pesulima. Married to Laurens ... PATTIASINA. He was born in... on ..., he died in Surabaya on ... 1989. He was married to Dora (Do) PICAL, daughter of ... and ... . Dora died in Los Angeles (USA) on 1 November 2017. He was born in Surabaya on ... 1941. He is married to ... . They live in California, USA. He was born in ... on ... . He was married to ... . He lives in California, USA. He was born in ... on ... . He lives in California, USA. He was born ... .
Born in ... on ... . Lives in California, USA. 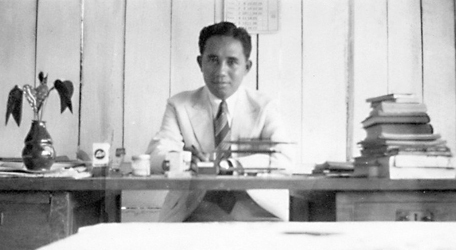 He was born in Aceh on 3 March 1913, he died in Bandung on 17 January 1983. He was married to Naomi BERHITU. She was born in Ambon on 5 February 1917, daughter of Simon BERHITU and Jacoba SINGOLOSONO. 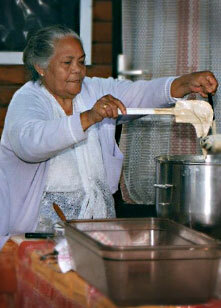 Naomi Pesulima-Berhitu died in Bandung on the 22nd of February 2004, 87 years old. She was born in Ambon. She is married in ... on ... to Norman (Norm) ROSS. He was born in ... . They live in Arizona, USA. She was born in ... on 7 February 1942. She was married to Christian (Chris) TETELEPTA. They ive in Fontana, Los Angeles, USA. Troy TETELEPTA, married to Tabitha WANGANIA. Glenn TETELEPTA, married to Corrazon TAURAN. Norman TETELEPTA, married to Caroline. 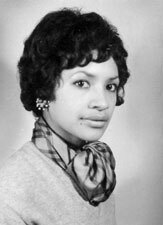 Fauzia TETELEPTA, married to Marco GOZALO (from Peru). She was born in ... . She lives in Bandung. She was born in Saparua, Ambon on December 11, 1947. She was married in Bandung on ... to Loddy J. LINTONG. Study/career: ASMI Jakarta, Secretarial Science, 1967. 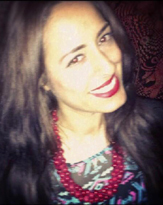 She currently resides with her husband in Inland Empire, California, USA. 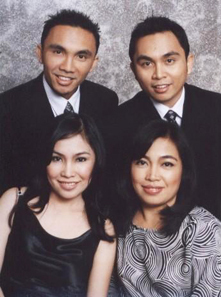 The four children of Henny Pesulima and her husband Loddy Lintong (clockwise): Franky, Renald, Nidya and Leandra. Nidya Thelma LINTONG, born in Bandung, May 21, 1972. Married to Richard MATITA. They have two children: [son] Angelo Jayson Melkyan MATITA, born July 27, 1998; and [daughter] Gabriella Edith Glenda MATITA, born April 9, 2000). Franky Samuel LINTONG, born in Bandung, April 27, 1976. Married, resides in Jakarta, Indonesia. Career: editor/producer at Christian Broadcasting Network or Citra Bagi Nusa, Jakarta. 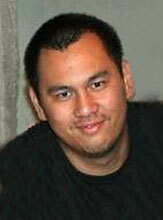 Renald Farley LINTONG, born in Bandung, Indonesia, August 1, 1978. Resides in Inland Empire, California, USA. Career: nutrition dept., Loma Linda University Medical Center, California. Career: IFS dept., PriceWaterhouse&Coopers Inc., Jakarta. He was born in Ambon on 6 December 1949. He is married in Bandung on ... to Ella Sukmini SOERADINATA. Ella was born in Bandung on 7 April 19.., she died in Bandung on 21 January 2002. 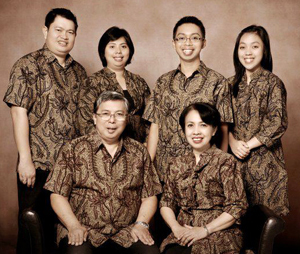 Novita Pesulima and her family. She was born in Bandung on 19 November 1972. She is married in ... on ... to ... (Lucky) KAWENGIAN. He was born in ... on 29 March 1974. Novita is working as Education Counsellor of IDP Education Australia (International Development Program) in the Bandung Office since 1995. She lives in Bandung, Indonesia. IX.1 ... (Kaleb) KAWENGIAN . He was born in ... on ... .
Anita Pesulima and her son Jaissy. She was born in Bandung on 20 August 1974. She is married in ... on ... to ... . He was born in ... on ... . They live in Buah Batu, Indonesia. IX.1 Jaissy ... . He was born in Bandung on 5 November 1995. Lily Pesulima with Thomas Trisno and their family. Picture made available by Henny Pesulima. She was born in ... on 26 June 1953. She married Thomas TRISNO. They live in Bandung, Indonesia. Liza Anggarini TRISNO, born in ... on ... .
Deviyanto TRISNO, born in ... on ... .
Stefanny TRISNO, born in ... on ... . He was born in ... on 5 May 1956. He was married to Yoko FARREL. They live in the USA. Married to Paulina TIADRASONG or TIMORASONG (?). VI.3 Semuel JORIS. Died young. Married to Izaac PAULUSZ (from Latta). Married to Hermina NOYA (from Galala). Married to 1) Willem (Wempy) MAITIMU. Married to 2) Andrias PATTY. Married to Hendrik PATTIWAEL. Lived in Passo. Married to Dominggas KAILOLA. They lived in Hative Kecil. Married to ... TAMAELA. Children? Married to Geertruida SARMANELLA. Children? Married to Juliana (Juli) TUANAHU (from Waai). She was born in Galala, Ambon, on 29 January 1922, she died in Galala on ... August 1970. She was married to Mathias JOSEPH. 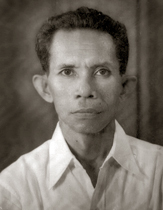 He was born in Galala, Ambon, on 18 June 1920, died in Galala on 9 July 1990. 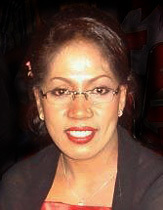 Juliana JOSEPH, born in Galala, Ambon, on 3 May 1944. Married to Marcus RISAMBESSY. Nine children. 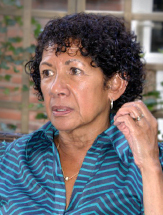 Wilhelmina (Wilmina) JOSEPH, she was born in Galala, Ambon, on 6 September 1946 Married to Jose HALLATU. Six children. 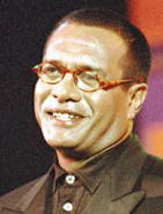 Simon JOSEPH, he was born in Galala, Ambon on 15 November 1948, he died in 1998. 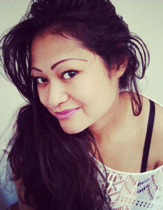 Married to Paulina TENTUA. Four children. Leonora JOSEPH. 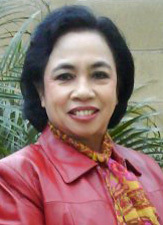 She was born in Galala, Ambon on 30 January 1951. Married to Hendrik Steven ABRAHAMZEN. He was born in Palembang on 6 December 1947. They settled down in Groningen, The Netherlands. Four children: 1) George Mathias Abrahamzen; 2) Sarah Lientje (Shirley) Abrahamzen; 3) Welly Hermina Maria (Wilma) Abrahamzen; 4) Juliana Christina (Juul) Abrahamzen. Abarang JOSEPH. Twins with Zadrach. Both died in birth. Zadrach JOSEPH. Twins with Abarang. He died in birth in 1953. 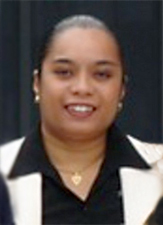 Petronella JOSEPH, she was born in Galala, Ambon on 28 January 1955. Married to Hendrik LAPADU. Five children. Pieter (Tjae/Chai)) JOSEPH. He was born in Galala, Ambon on 22 June 1957. He lived in The Netherlands during the '80's and he lives in Jakarta now. 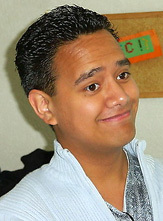 Semuel JOSEPH. 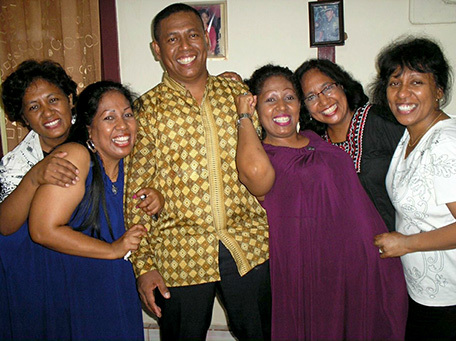 He was born in Galala, Ambon on 6 May 1959 Married to Fransina SAMUSAMU. Seven children. 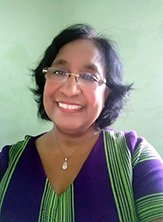 Maria JOSEPH. She was born in Galala, Ambon in 1961. She died in ..., on ... March 1976. 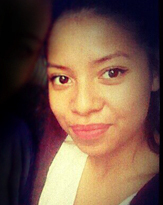 Elsama JOSEPH. He was born in Galala, Ambon on 27 January 1964. Married to Carolina WAAS. One child: Steven Hendrik ... .
Tante Mina working in the kitchen. She loved to cook. Picture used with permission of Fietje de Lima. Aunt Mina was born in Galala, Ambon, on 18 March 1925, she died in Capelle aan den IJssel (Netherlands) on 4 March 2003. She was married in Waai on 25 November 1941 to Johannes Dominggus (Minggus) DE LIMA. He was born in Waai on 15 October 1917, son of Johannes DE LIMA and Frederika RUMALAISELAN. He died Rotterdam 25 December 1995. Johannes Dominggus De Lima was korporaal in the KNIL, army number 172215003. They came in 1951 to the Netherlands with the ship 'Groote Beer' and arrived in Amsterdam on 6 May 1951. Johannes Dominggus DE LIMA. He was born in Waai on 15 January 1943. He died in Eijsden (Limburg, the Netherlands) on 2 June 1957. Semoël Alfred DE LIMA. He was born in Balik Papan on 27 April 1947. He is married in ... on 20 November 1970 to Christina Albertina (Tien) KRIEKHOFF. She was born in Ambon on 26 October 1947, daughter of Sofia Antje KRIEKHOFF and JAN SALAKORY. She was born in Capelle aan den IJssel on 1 July 1971. IX.2 Johannis Simon Christoffel (Anis) DE LIMA. born in Capelle aan den IJssel on 17 March 1972. IX.3 Frederik Izaak Zacharias (Eddy) DE LIMA. born in Capelle aan den IJssel on 30 May 1973. IX.4 Daniël Jan Abraham (Danny) DE LIMA. born in Capelle aan den IJssel on 30 August 1974. IX.5 Sara Corlina Pieternella DE LIMA. born in Capelle aan den IJssel on 29 April 1977. IX.6 Dominggus (Doesje) DE LIMA. born in Capelle aan den IJssel on 15 June 1979. IX.7 Thomas (Tommy) DE LIMA. born in Rotterdam on 12 Januay 1981. IX.8 Arnold (Nono) DE LIMA. born in Rotterdam on 12 Januay 1981. Married to Filip ... . No children. VII.2 Leonora PESULIMA. Died young. VII.3 Johanis PESULIMA. Died young. VII.5 Maria PESULIMA. Died young. VI.2 Lea PESULIMA. Died young. He married according to the adat (tradition) to Abigail SAMUSAMU. Therefore his son Stefanus bears the name Samusamu and not Pesulima.